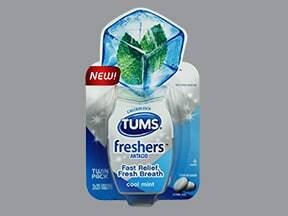 List Tums Freshers side effects by likelihood and severity. This medicine is a white, oval, spearmint, chewable tablet imprinted with "TUMS". This medicine is a white, oval, cool mint, chewable tablet imprinted with "TUMS". 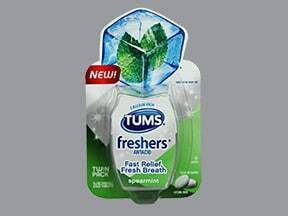 Have you ever purchased Tums Freshers?